Q. How do I check what books I have out from the library? I need to know what books I have out on loan from the library. You can log into the Destiny catalog -- and under the "My Info" tab you will see all the books you have out. 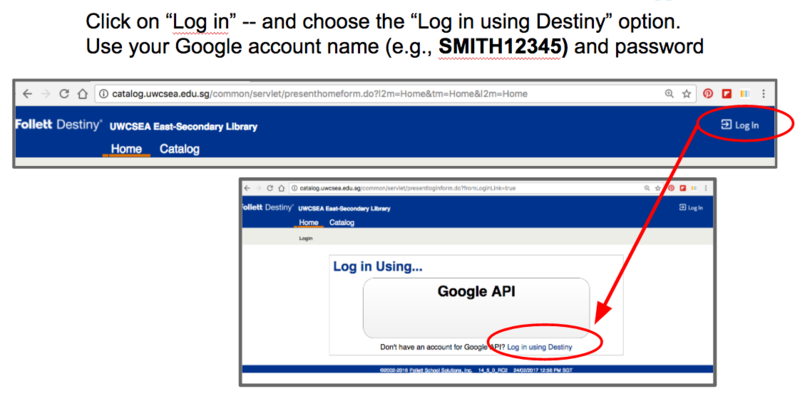 Students and staff can log in using their school Google Apps account name, e.g., SMITH12345, and your regular password. Parents can check with the library staff about what username and password has been created for their library accounts.